Lobsterfest VII came and went this weekend. We broadened the circle of crustacean crackers ever-so-slightly this year, with Jenny joining us (and Wilder, too, of course, but let’s try to go a week without obsessing over that dude). It was great! It made me wonder why we don’t open it up the general public and grow from a fest to a full-on boil. Since we’re talking food, our eating habits from this summer deserve special mention because they are truly outrageous. 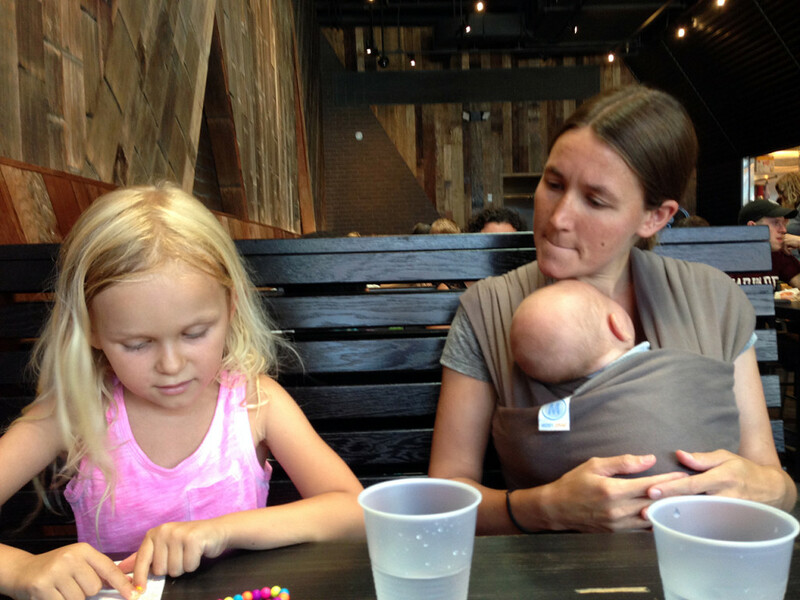 With Maggie nursing, Charlotte being 5, and me running more than 30 miles a week, we are in a constant state of panic about the next meal. If our family doesn’t make it through the coming months, it won’t be due to stress or sleeplessness. It will be because the buttery gears that keep us going broke down, like an engine without oil. Kimchi Taco, Saturday lunch. Note the far-off look. The sugarwater wasn’t working. We used to have a number of rules about food: no industrial chicken, red meat rarely and only from the greenmarket, cereal is always a scam, try to avoid junky stuff, and so on. Now, our idea of a good food rule is checking to see whether the Pepperidge Farm Princess Cheddar Goldfish Charlotte grabbed off the shelf in the candy aisle are colored artificially or naturally (turns out the latter, with beets—eat up, kid, and enjoy your weirdly gendered snack). This relaxed attitude toward food quality has good practical motivations. Maggie needs the iron or she’ll go nuts. I need the protein or I’ll fall over. 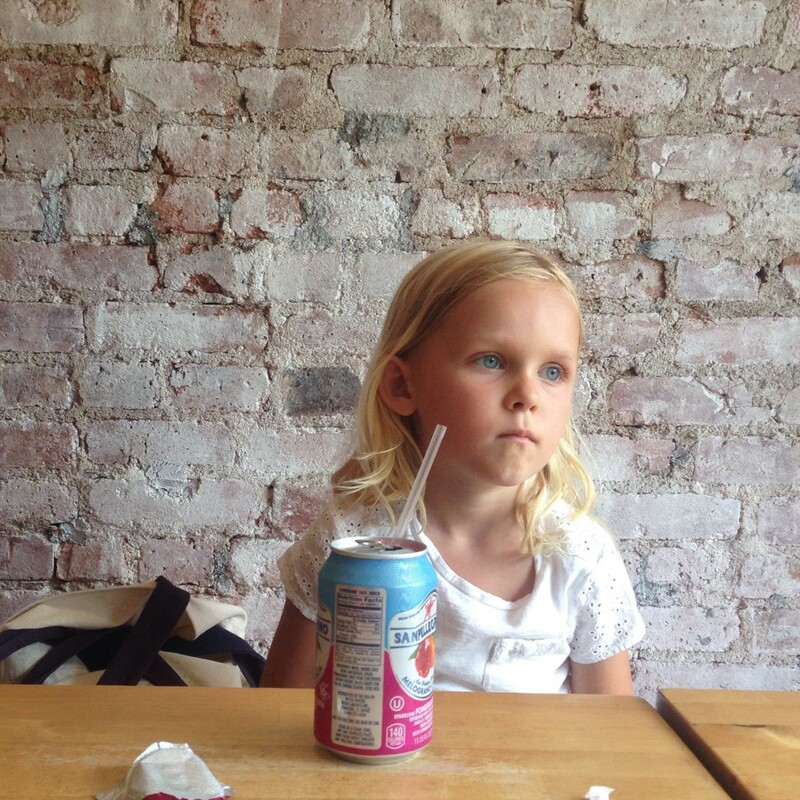 Charlotte needs hot dogs or she just won’t stop talking about how much she loves hot dogs. These needs are often overpoweringly intense. “Hangry” doesn’t capture it. It feels more like a desperate scavenging for the last remaining calories in reach. An anxious audit of the receipt. All double Shack burgers were accounted for. Our visit to Shake Shack on Sunday exemplified this new approach: three double shack burgers, fries, a chocolate milkshake, and a Coke. Lunch, done. We ate it all. With an afternoon snack, we would make it until dinner. Oh, the snacking, I should mention that. It’s incessant. Eating only during mealtimes is amateur hour stuff. We regularly go to Ample Hills for ice cream after dinner. After Charlotte goes to bed, I rifle through the cupboards in search of more calories. Tonight’s desperate after dinner menu: string cheese, corn tostadas, and a bowl of Special K “Red Berries” cereal. Maggie’s sitting over there, she just finished off a pint of backup ice cream we had in the freezer. I read somewhere that increased sugar intake is a result of sleep deprivation—sure, why not. 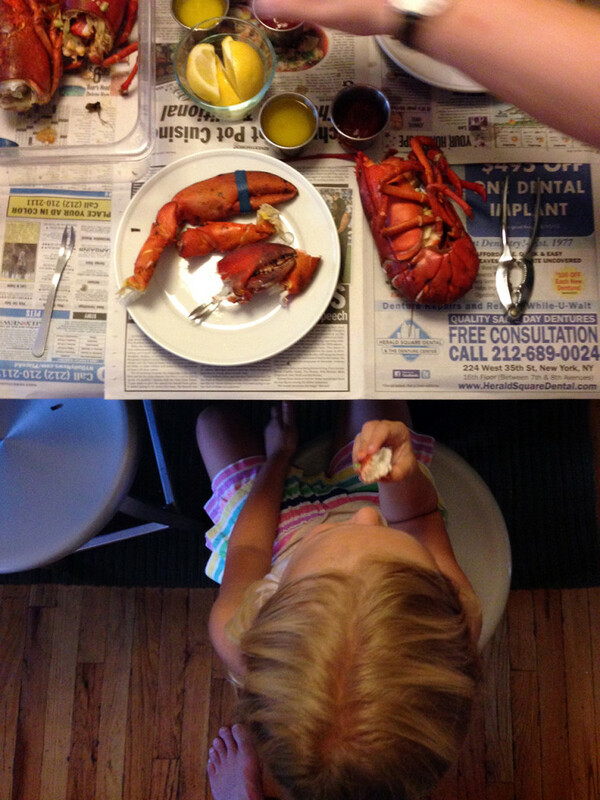 This weekend, these furtive eating habits stood in stark contrast to the dignity of lobsterfest. But, whatever, all this eating is going toward good causes right now. The delicious tradition of friends, fries, lobster, and pie isn’t diminished. Just keep it coming, all of it.